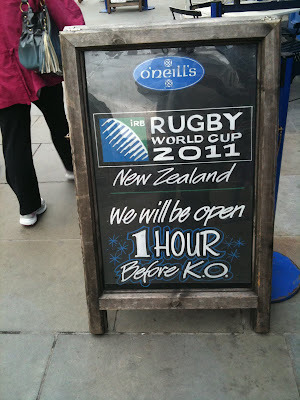 This pub in Covent Garden seems a bit premature with its tv offering: the show doesn't kick-off until early September. Just round the corner, right beside the huge new Apple store, I came across this site hoarding: I don't think this will be selling clothes for 18 stone prop forwards. 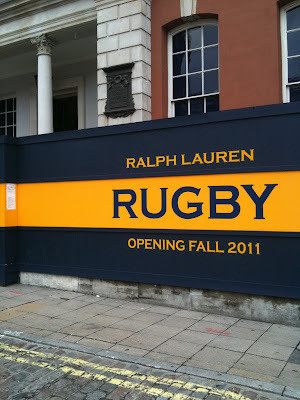 It looks more like Ralph Lauren has 'invented' another clothing brand - a strange choice.